Happiness is the natural result of habitually living and thinking in certain ways. As a matter of fact, happiness is something that is quite predictable for almost all people (those with chemical imbalances, for instance, may be excluded) as we develop certain habits of thought, belief, action and character. This post highlights some of the most important habits of happiness (7 of them, in fact) and acts as a tribute to the work of the personal-development icon, Stephen R. Covey, who recently passed away. His most famous work, The 7 Habits of Highly Effective People has impacted a culture. Some people are unhappy. Others are mildly or moderately happy. Some are even pretty happy. The following, however, are those principles that produce highly happy people. Highly happy people are possibility and opportunity thinkers. They see the large picture and focus on the immediate steps that lead to the life they imagine. They refuse to dwell on doom and gloom “what-if” thinking. They think imaginatively, picturing in their mind’s eye the life they want to live, the person they want to be, the way they want to serve, the meaning they want to impart, the family they want to raise, the relationships they want to enjoy. Their lives are extensions of their vision, of both the way they think and of what they think about most of the time. People who live highly happy lives are people who have mastered their thoughts, who are not buffeted by ugly, critical, whiny, self-defeating ways of thinking. They don’t harbor grudges or replay old wounds or failures over and over again in their minds, except to learn the lessons embedded in them. They focus their thoughts on the uplifting and inspiring, keeping them largely free of gutter-think and negativity, prejudice and debilitating fear. Highly happy people don’t lop-side their lives by focusing exclusively on fun or work or money or sports. They know that pounding a single note in life will create about as much happiness as pounding a single key on the piano will create music. Mind: They work to develop their minds by reading good books, challenging their thinking, working at developing insight and wisdom and cultivating intelligence and building a storehouse of knowledge. They have a passion for learning and spend time and resources on its pursuit. Body: The happiest people are not slaves to a self-limited body. They are not slaves to the appetites of the flesh. They don’t abuse the vehicle of their mind and spirit by filling it with garbage. They respect it as they would a temple. And so they eat good food and exercise regularly and avoid the poison of addictive substances. Spirit: These people are keenly aware that they are more than mere bodies though. They recognize a higher sphere and look to feed that part of their lives that is in tune with the infinite. They read from scripture and other inspiring works. They fill their minds with uplifting ideas. They serve and bless others. They meditate and pray and connect to spiritual things. Character: Happy people know their integrity to high values is more important than any earthly reward they could otherwise compromise character to attain. And so they constantly work on the foundation of their lives, the reputation and legacy their characters will create. They know their character is at the core of who they are and that by doing work there, all other parts of their lives will be positively affected. Relationships: Because relationships are crucial to highly happy people, they prioritize them. In fact, they believe there is nothing more important than the work they do to build trusting relationships with family and friends. Talents/Skills: Highly happy people know they are capable of great things. They know there is music and poetry and novels and skyscrapers and bridges and healing and improvement waiting inside to be pulled to the outside. And so they try new things and develop new habits by replacing old bad ones with new good ones. They strengthen strengths and weaken weaknesses and share the talents they work hard to develop, not out of boastful showmanship, but as a humble steward of God-given and God-inspired abilities others can benefit from seeing and learning about … or, frankly, just for the fun of it! Highly happy people love life. They love others and themselves too. They accept the truism that their love for others is limited by their capacity for self-love. Highly happy people love truth and nature and beauty. They love their faith and human decency. They live lives of passion because they are passionate about so much that life provides. They love learning and growing and experiencing all life has to offer. Their passion is an extension of the love and appreciation they have for living a life of meaning and purpose. Highly happy people express their appreciation for all that fills life. They are grateful for the little things most people take for granted and for the big things as well. They express gratitude for acts of kindness and for the challenges that help build their character muscles. They believe their thoughts and ideas are important enough to express them. They are not intimidated into silence but are not verbal bullies either. They express their interest in others and express their desire to learn from them. They freely express earned praise and encouragement and forgiveness. They are not afraid to express their more tender and emotional sides because their insides are securely centered on universal principles of character. So their expressions are honest, forthright, true, authentic, but respectful, honorable, decent, thoughtful and reflect a soul unencumbered by the fears and anxieties less happy people are bogged down by. Highly happy people are not rudderless ships tossed about on the seas of public opinion or knocked about by the waves of circumstance or the winds of history. Rather, they are self-directed and pro-active. They choose their life’s direction. They choose their thoughts and beliefs and hopes and dreams. They also choose their emotional responses to life by choosing the thoughts, beliefs and attitudes that create them. They are not victims to outside circumstance and accept responsibility for the lives they live. They don’t blame their pasts or the world or God or life or the government or anyone or anything else for the conditions of their lives today. That’s not to say they blame themselves for every obstacle they encounter, but they do accept responsibility for doing something about the obstacles once they encounter them. Highly happy people know they are the products of their choices and so make them decisively but carefully and with an attitude that nonetheless allows for flexibility to change plans, direction or timelines as needed. Highly happy people act. They spend significant amounts of time doing what matters most. They don’t sit around and excessively watch other people live pretended lives on TV. They don’t have the time, even if they had the inclination. Instead, they take action on plans and goals and ideas and dreams. They play and work and try new things and go to new places. They pick up hobbies and interests and expand their lives and experiences accordingly. They do those things that add passion and purpose and meaning to their lives. They volunteer and serve and bless and do. They truly live life as the verb it was meant to be. Highly happy people are accepting. They accept others as they are while they work to train and inspire them to be more. They accept themselves and their imperfections while they work to make them less pronounced. They accept the conditions of life as they dedicate themselves to the work of changing the conditions they have otherwise accepted. In other words, they are committed to growth and improvement on all levels, while accepting of their shortcomings as they are right now along the path of growth and improvement. They are works-in-progress seeing the obvious that it’s okay to be broken at the beginning of a project, just not at the end. And so they live their lives as an on-going self-improvement project, recognizing areas of needed improvement without condemning themselves (or others) for needing improving. Happiness, then, is the predictable outcome of those principles that create it. We choose to apply those principles or to read them passively, brushing them aside as impractical or simplistic or impossible. So choose today to grow, love, express, choose, do and accept your way to a life of incredible happiness as we pause to tip our hats to a man who dedicated his life to human potential. I’d love to read your thoughts in the comments below! Yes indeed, happy people do all that you mentioned. I guess they are just generally happy put in any kind of situation. They make the best of things and learn to adapt to those changes willingly. Thanks for the comment, Harleena. I think number five, choosing, was hardest for me. For years I did not realize the extent to which I was letting other people’s expectations make my decisions. When I became more fully aware of my own values it became apparent. I think I’m a pretty happy person, but I’ll use your list to fine tune and take it further. So glad you found value in the list, Dan. Learning to accept total responsibility for our lives, all our lives — our thoughts, feelings and conditions — takes a whole lot of honesty and inner strength. It’s great to hear that you’ve rounded that corner. Very liberating once it’s fully embraced. There is that child’s voice somewhere inside that wants other people to be responsible for our lives, to be someone we can blame or use as an excuse for our persistent shortcomings. But that kind of dependence does not produce the emotional environment necessary for the kind of happiness that lasts. Good luck on the journey, Dan. It’s a wild ride, for sure! That’s what I consider one of the great miracles of life, Farouk. It’s the idea that life can be crumbling and collapsing all around us, and yet, in the midst of the chaos and even while enduring loss and pain, we can choose our thoughts, the way we will interpret life and thereby alter how we feel about it even as it’s crashing down on us. The inner reality is so much more important to our happiness than the external reality. This was an obstacle for me. For years I did not realize the extent to which I let the expectations of other people choose my direction. This is an awesome list! I couldn’t agree more. Being intentional about everything in our lives can definitely lead to happiness. Choosing our thoughts, being aware of our moment-to-moment choices, complete acceptance (nothing changes until we accept the present state) and making choices based on our core values. It seems that we didn’t learn any of this in school and, for most of us, we didn’t learn it at home either. No wonder there are so many unhappy people out there. 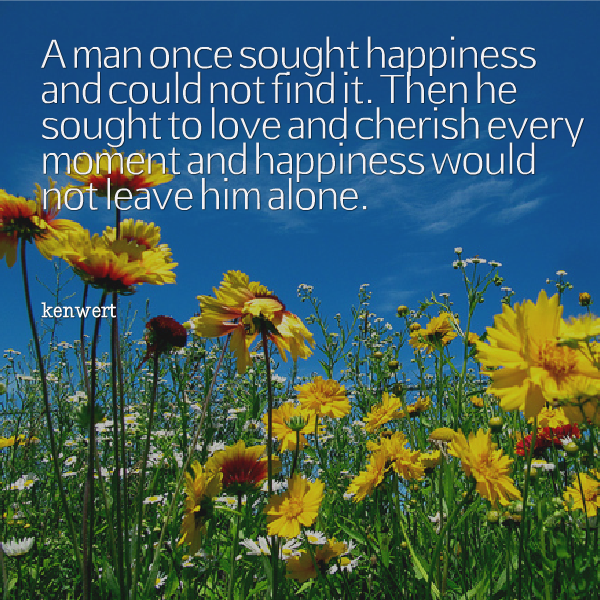 Ken – Thanks so much for being a leader in the happiness movement! More people need to learn how subtle changes in mindset can make such dramatically happier people. Paige | simple mindfulness recently posted … Ask Our Readers: What Challenge or Fear Is Keeping You From Creating Your Happy, Healthy Body? Hi Paige! You make some really great points about never being taught about happiness in school or at home (for most people). Most of the world will never pick up a book on happiness or read a post online about the topic either. And then there’s the trial and error of living. But that’s such a slow process and the principles of happiness can be easily misunderstood and misinterpreted (given the tangle of life variables that we can’t very well control in a lab to tease out those principles that are reliably adding to happiness very often), further keeping us in the dark. Then there’s Hollywood and reality shows and much of the music industry too that pulls the shades and fogs up the issue with false promises of happiness. And so people like you and me keep doing what we can to make those principles known. Hopefully we’re making a dent. I believe we are. Thanks for the kind words, Paige. It’s always great to see you here. Thank you for a wonderful, inspiring post! I’d add one thing, which may be a subpoint of loving yourself and making choices – happy people are gentle with themselves. This means they always find time to rest and relax when they need it, and if a friend needs them, they make time despite a busy schedule. So maybe to sum up, happy people place a high value on their time and develop their habits of managing it, but are also generous with it for their loved ones. Yes, I think you’re right, being gentle with ourselves is a subset of loving ourselves. But it’s certainly worth being said on its own merits. So often and for so many of us, we are truly our own worst critics. We treat others, even strangers so much better than we treat ourselves. We condemn and are self-critical and impatient when we don;t feel we are measuring up. And we sure do a lot of measuring, don’t we! But to slow down and relax, as you say, ease up on the reins and start metaphorically hugging ourselves more than slapping ourselves, we will feel happier more often. Great pint, Nora. Thanks for sharing that insight with us. Ken, I am a wee bit late to the party as I’ve been having a grand time offline. I am catching up today 😀 before I go back to the revelry I call Life. 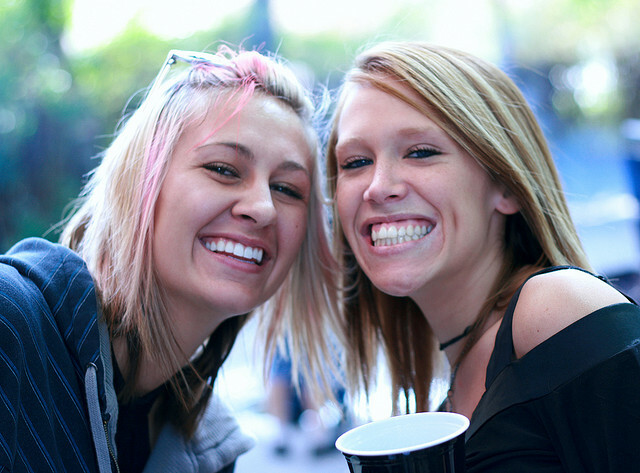 These 7 habits of highly happy people can easily shape a person’s life. The best part is they are simple practices one that are easy to convert into habits. My additions are: #8. Give #9.Smile. I practice a lot of giving (inherited habit :D) and the joy it brings my heart is incomparable. I smile a lot – and I’ve found that because of this, I attract people- I mean I come across as more approachable (could be my spectacles, too…). It nurtures love, builds and relationships and the appreciation I get, helps me grow. It also encourages me to do more and be more accepting of others. It helps me stay calm (most of the time). I do believe I am happy 😀 I have been offline for most of the last two weeks and I suspect that could become a happy habit for me. I am enjoying the textures of life, face to face. You always have a way of making people feel good about themselves, Vidya. That’s such an amazing quality you have. Thank you so much! I LOVE both of your contributions to the list! It really is amazing how our physical behavior can have such an immediate impact on how we feel. Smiling, moving, posture, tenseness, breathing. It all matters. And yes, giving. I almost feel silly for leaving this one off! 🙂 You are the role model of giving, Vidya. And I deeply thank you for making that example available to us all — in a very authentic, matter-of-fact and humble way, of course!). “It nurtures love, builds relationships and the appreciation I get, helps me grow.” Well said! There is no happiness sealed in the vacuum of self-absorption. Thanks for your wisdom, Vidya! I’m all about number 7, accept accept accept! Until you accept something then you cannot move forward in my opinion. It’s like removing a barrier. I would add ‘learn’ to the list too. Make the mistakes and learn from them and this way we will slowly eliminate bad choices. Ah, yes, Learn! I’m a teacher by profession (and at heart) and I still left that one off. Go figure! But absolutely. Happiness doesn’t exist in stagnation. Life is the great university, for sure. And so many lessons to learn! Thanks for the reminder, Jamie. Acceptance is an amazing thing. It melts and evaporates so much of the hostility and resentment and hurt and anger in life. It undermines and even disintegrates so many of the obstacles that so often get in the way of our progress and happiness. Well said, Ken. Happiness is definitely not JUST a feeling. Like you said it’s a choice. In order to learn to be a happy person, we have to make those choices you mentioned – every single day. It’s so easy to fall into negative thinking. However, once we’re aware of this, we can actively make the choice to become happy people. So much of the movie industry paint happiness as ONLY a feeling. It can easily seem like we have no control over how happy we are. Add to that the widespread belief that others “make” us angry, happy or sad and we have a huge problem in the happiness arena. Like you say, becoming aware is the first step. We have be aware of our thinking, of the principles that create happiness and then conscientiously act to implement them, absorbing them deeply into the fabric of our beings. We will then create the inevitable: More happiness! It is indeed a choice. Thanks so much for sharing your thoughts, Anne. Always insightful. Most enjoyable – as always. Strange, how we often would rather be sure of being miserable than risking being happy. Lately, I’ve been super happy. There has been the usual ups and downs, for instance we’re both without jobs and prospects are not good. It just hasn’t anything to do with my happiness: Under it all, like bedrock, there has been a growing acceptence of love as the basis of life, if not the lifeforce itself. I’m not talking about the emotion love. I dearly love my wife and life around me in general. It’s not that. It’s smaller and bigger. It’s hard to explain. It seems that happiness is something that one can decide. It really is that simple. Give it attention, and it loves you back. Then the experience of gratitude occurs, and wow; here’s a new focus. Gratitude (without an object, really) seems to be the key. I really like your very precise list. These are all the places where I habitually goof up. I want to experience as much of that underlying love and happiness as I possible can, so I study and try to get good at not disturbing myself. We can all decide to be happy and then avoid to mess up as much as we can. It’s a much better position than allways seeing us in the universal gutter, trying to find our way to happiness. Happiness is already inside all of us. It not like you must inhale it or drink it from a bottle. Is there. All the odd stuff we do is only to release it. Decide to let it run the show, it is perfectly able to do so. And ready, as an anxious lover. Give up. Give in. Give it a go. This is so insightful: “Gratitude (without an object, really) seems to be the key.” Beautifully said. When our hearts and thoughts are filled with gratitude, directed nowhere specifically, as an general attitude, our lives change dramatically., Perhaps not physically, but experientially, it’s night and day. Well Erik, welcome to the club, my friend! Life is one huge bounce-house. We are all constantly falling down, ricocheting off people and walls and stumbling, tripping, and really barely making it very far before getting bumped up in the air and falling down in a tangle of arms and legs. We’re always goofing up. But life is made to teach and we are made to seek and learn the lessons being taught. As long as we’re doing that, one day, one step at a time, I think we’ll be alright! Thanks for the article. I definately know that as challenging as it can be, the times i’ve been challenging myself, working on growing and taking action is when i’ve been the happiest, regardless of it being difficult. Ben recently posted … But that doesn’t make sense? You’re welcome, Ben. Thanks for stopping by and sharing your thoughts. It’s almost paradoxical that happiness isn’t found in a beer in front of the TV with nothing to do, free of all responsibilities, that it’s in the discomfort of growth, of stretching and becoming and developing and learning and improving. And relatively few people seem to recognize what you’ve discovered, Ben. And so they keep looking for happiness down dark alleys of self-indulgence instead of in the light of living a life of personal growth. Spread the word, Ben! More people need to know! Hi Ken. I’m catching up from my unintentional blogging break. This is a great article, as usual. Since I am one in the brackets (those with chemical imbalances) I would have to say I could add a couple of things to an already great list. If a person is chronically feeling unhappy, it may be a good thing to seek medical advice as the person may be suffering from clinical depression. Also, diet can often play a huge role in causing a person to feel unhappy. Dr. Gabriel Cousens has extensive research and a book on this topic. Diet may play a much greater role than we think when it comes to feeling unhappy. Now, I’ll go see what I missed. See you. HI Marianne! Can’t tell you how good it is to see you here! Hope everything is ok. Just want you to know you frequently find your way into my prayers. “Life in the brackets” — sounds like a good post title! But yes, I highly value your insight as someone who has struggled with so much in life. You’re right to suggest diet and medical advice, of course. So much online diminishes medical resolutions to life’s difficulties. But some problems (chemical imbalances) can only be resolved by balancing the chemicals. Diet can help and so can exercise. But sometimes, medical help is absolutely necessary. Some online opinion-givers will dismiss that answer. They shouldn’t. Thanks for reminding us of that. hi Ken, I do like your list of 7 habits as I got reminded of some habits where II feel imbalanced from time to time. Where I got challenged in my positivity is when I see the dearest people around me suffering and me not being able to do much. When some one has a probable incurable disease and you know that probaby it will only get worse day by day I struggle to give them positivism. I am afraid of being unconsiderate. We’re all off balance from time to time in certain areas of our lives. So that’s okay. The trick is to recognize where we’ve stumbled (or keep stumbling), figure out how to improve and make littel adjustments. As for people with incurable diseases, my approach is to simply love them. I try to see them from the perspective of being humnan beings who, like us all, need love. Showing interest in them, asking about their lives, letting them talk (or cry) is often very therapeutic. I think when we avoid saying anything to keep from saying the wrong thing gives such people the wrong impression, that no one cares, that they’ve become invisible. Try it out. I think that for the most part, you’ll have a positive experience and you will grow increasingly comfortable as you interact with people in such circumstances. I think that the greatest key to happiness is the mind. How you think about situations and see things. That old saying of the glass half empty or half full, being upset that roses have thorns, or happy that thorns have roses. I used to have trouble sleeping as my husband snores almost as soon as his head hits the pillow. I used to lie there tossing and turning, resentful, and thinking of him snoring like a pig. One night when he was away and the cat was loudly purring on my bed, I realised that his snoring was no worse than the cat’s purring, which I love. I now think of my husband’s snores as purring, and I fall asleep immediately. Happy thoughts. I agree with you, Melissa. The most immediate impact we can have on our happiness is to change how we perceive the world, ourselves and others. Happy thoughts back at you, Melissa! Thanks for the wonderful insite and wisdom. I resonate very closely with number 5. Choosing to be happy is something I think everyone can develop and make a habit overtime. Well done ! The human capacity to choose is such a powerful gift. And while most people recognize it with external things (choosing how to use your time or who to spend your time with, etc. ), too many haven’t realized the power of choice they exercise (even if mby default) over their internal circumstances. And while I may not be able to choose my feelings directly, I can choose the attitudes I harbor that create the percetions I have that influence the feelings I feel. Agreed, Baker. We can all develop the habit of choosing happiness as we choose our thought over time. Wow. Me in a nutshell. When I started of improving my life by design, the ups and downs were more apparent, but one thing is the landscape, another the bedrock. I am very happy with myself these days, not being conceeded in any way, and I get to recognize the same happiness all around me as I move around in the world. Like, when we’re in love. Things are not effortless, however. Part of the perfection is that there are always things to improve, upgrade or facilitate. Imperfection is necessary to fight of boredom, and thus part of the Perfection. Luckily, I have a wast supply of personal imperfections in store, enough to last a life time. I think a major attribute of happy people is kindness and a (often impolite) lack of interest in unnecessary problem. Perfection and Imperfection, and who cares? Somehow your comment slipped in without me seeing it! I love reading Seligman and Frankl. Both Learned Optimism and Man’s Search for Meaning were life-changing works for me. I had the same experience, it seems, as you did. I was about 17 or 18 years old when I started reading Aristotle, Mencius, Plato, Buddha, the Bible and the like, trying to improve who I was. Before I started, I felt pretty good about being a pretty decent guy. Then when I started to read, I had a new mirror and a new standard to compare myself to. It’s not that I was harsh in my self-assessment, but just surprised there was more under the hood to work on than I thought would be there. Personal growth, kindness, a;; wonderful parts of the happy life, for sure. Thanks so much for sharing, my friend! I agree with many of your points, but for me, happiness comes from living in the moment. It isn’t contrived or planned or put on hold until a more convenient time. Agreed Helena! Happiness is not something put off to some future date. But it can be enhanced as we become more patient, compassionate, kind, positive, optimistic, etc. It’s not about waiting to be happy as much as developing those attributes that lend themselves to greater levels of it. Understand – Knowledge is an amazing gift we should all collect and use. If you can understand a situation, you can better get through it. I’ve found I’ve been able to help people through ‘situations’ in their lives because I understand the situation better than they do, because they get trapped in their limited knowledge and give up. The more you know, the better equipped you are to understand other people, where they are coming from, situations that may arise, and develop ways to achieve or overcome any obstacle. You improved the post with your addition, for sure! I couldn’t agree with you more. Knowledge truly is power. Most importantly, it’s personal power. Without knowledge and understanding, we’re stuck in myopic prisons of self-limiting experiences. We are trapped in ruts and grooves of limited experience and wisdom. But the more we learn, the more we gain wisdom and understanding, the freer we are to choose among a variety of perspectives. When we only know one, we are surely shackled to only one choice, one option, one possibility. Thanks for your wisdom here, Dan. Very much appreciated. most important that you have discussed here for happy people is the “acceptance” .they accept every condition and people.well salute for the nice share…. Hi Ken, I really love reading your post, this one is very inspiring, yes, i totally agree with you, ” the happiness we live is the happiness we choose as the natural by product of the principles we embody “, if we choose to be happy, it shows in the way we act and speak, happiness is having a very positive attitude in life , it never fails to attract positive vibes too. If we stay happy, we live a good and contented life. I’ve already shared your post to some of my friends. Thanks for sharing. Have a great day! Well said, Sherill! I agree with you that happiness is a sort of magnet that attracts good things into our lives. So true. I love that you shared my work with your friends–that means a lot to me. Have an amazing weekend, Sherill, and I look forward to a seeing more of you hanging out around here at Meant to be Happy! I couldn’t agree more. I just loved reading your post and because I choose to be happy thus I have a more positive outlook in life. Lynne recently posted … What is Intrinsic Health Coaching? Thank you so much for your support and letting me know about it. Means the world to me. The issue of choice and happiness is such a misunderstood concept these days (perhaps always has been). So much so that I’m currently writing a post about that topic. But it’s true. Perhaps it would be better (more accurately, anyway) if I said that in the long run, happiness or unhappiness is a choice we make. Anyway, I’ll be explaining it soon here on the blog. Look out for it. I would love to get your feedback on it! Have a beautiful day, Lynne! It’s a fact that happiness is the most important thing which everybody need in their life. Happiness is the secret of being successful in the life. When we feel happy completely then we are much more confident and able to take right decisions at the right time. Thanks for sharing your post Ken. In my advancing years, as my youthful exuberance wanes, these words hit home. I’m creating a workbook based on your post that will help me pull possitivity from the web of negativity that I have allowed to weave into everyday life for a number of years. You’re wise beyond your years. Thanks KennyMike. because here i see this awesome post related to know the best things to become happy and and how people treat with things.